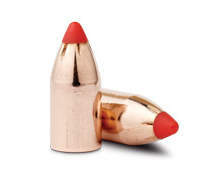 Hornady Ballistic Development Group introduces the most advanced match bullet in history. 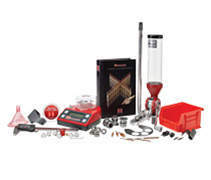 Introducing the 2019 new products from Hornady® – 70 Years of Innovation! No matter where your adventure might take you, rely on Outfitter™ Ammunition. 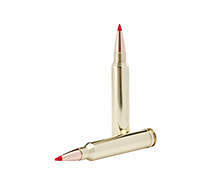 Introducing the ultimate 30 caliber magnum! Available in both Precision Hunter® and Match™ ammunition. Accuracy and terminal performance are the cornerstones of Hornady® Precision Hunter®. “Ten bullets through one hole” is the philosophy that brought Hornady® from a two-man operation in 1949, to a world-leading innovator of bullet, ammunition, reloading tool and accessory design and manufacture today. Our ammunition is built to provide you with the highest possible performance. Consistent quality, accuracy and performance are, and always will be the hallmarks of our bullets. Our muzzleloading products provide exceptional accuracy and the terminal performance that hunters continue to rely on season after season. Our patented Lock-N-Load® technology offers complete control to reloaders. 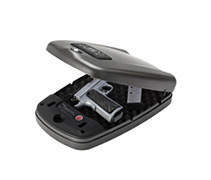 Our patent-pending technology safely stores and secures firearms in the home. 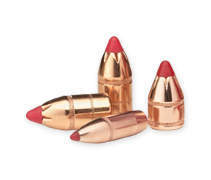 Shop Hornady@ for high-quality apparel, shooting accessories and gifts. Our new and improved calculator includes both basic and advanced features, allowing you to customize the shooting conditions to replicate your environment. 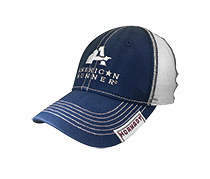 Sign up to receive new product releases, exclusive offers and more. Gain access to special features, save products to your personal profile and our shooter stories scrapbook.